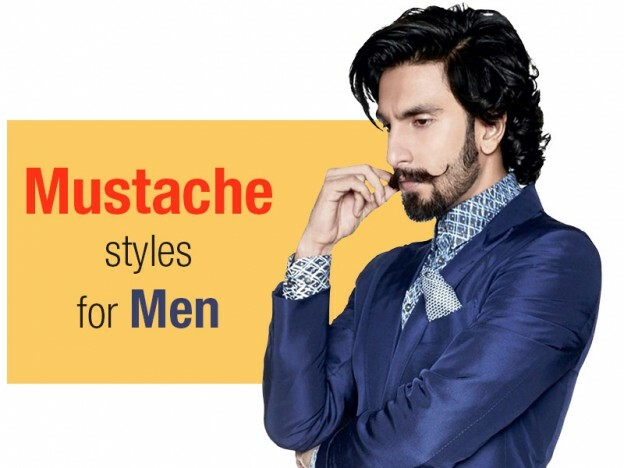 Growing a mustache never went out of style and there are few things whihc you must consider to get the perfect look: styling, shape, and density. But some of you might think that mustaches have no variety but here is the good news, you can grow mustache in many styles. Read on to know more and take your pick. Chevron: The Chevron mustache is thick as well as wide. Majority of men prefer this mustache style because it helps in covering the top of the border. Still this style is popular, but in the 70s and 80s this was most popular and trendy. Dali: This type of mustache is narrow with the ends long and pointy. Men who prefer this style must have the corner of the mouths shaved. Lastly, this type of mustache was named after Salvador Dali. English: This style is the unique one, the whiskers are long and are pulled to the side. It is narrow at the upper and middle lip. Fu Manchu: This mustache goes downwards, usually below the chin. The interesting this about this mustache is it came from China – Mongol invaders. The name came from a fictional character. Handlebar: It was suggested after a bicycle handbars and many people prefer this mustache as a spaghetti mustache. Moreover. It is busy with small points at the end part. Imperial: This mustache consists of whiskers that grow from the cheeks (it curls upwards) and the upper lip. It orginated in the 19th century but noone is usre when this trend came. Lampshade: This is a new type of mustache. It is closely cropped above your lip and most importantly it should be of same length as your lips else it will be ruined. Pencil: The reason for calling it pencil is because it gives resemblance as if it is drawn with a pencil. This style is closely clipped thus providing a gap between yur mustache and nose. It became popular from the charater of Gomez Addams from the famous show The Addams Family. On That Note: So, whats your favorite style. If you know any other style, let us know. We love sharing.